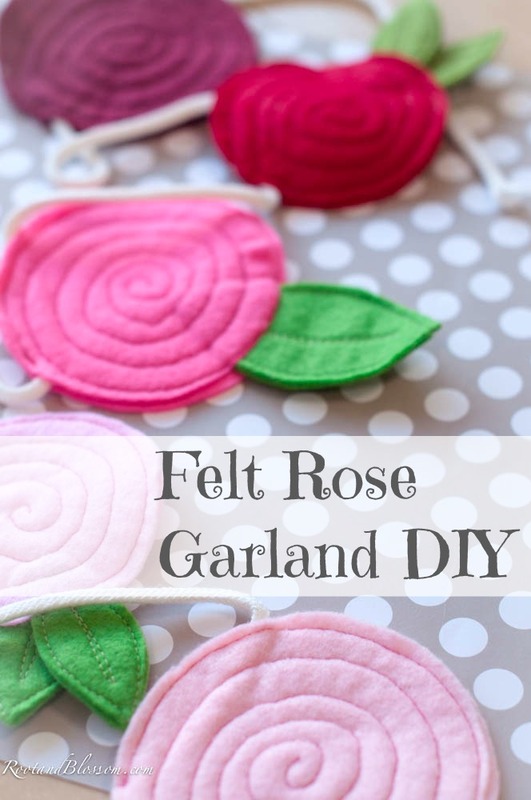 Just in time for Valentines Day I am sharing with you this super fun, super easy felt rose garland DIY to bring a touch of sweet to any room. pins, pins, and more pins! With the cardboard I circled two differing in size circles (bottoms of cups) and then sketched out two different sizes of leaves- a large leaf to go with the large circle and a small leaf to go with the small circle. Cut pieces out. Like I've said before, someday I promise I will have a scanner! 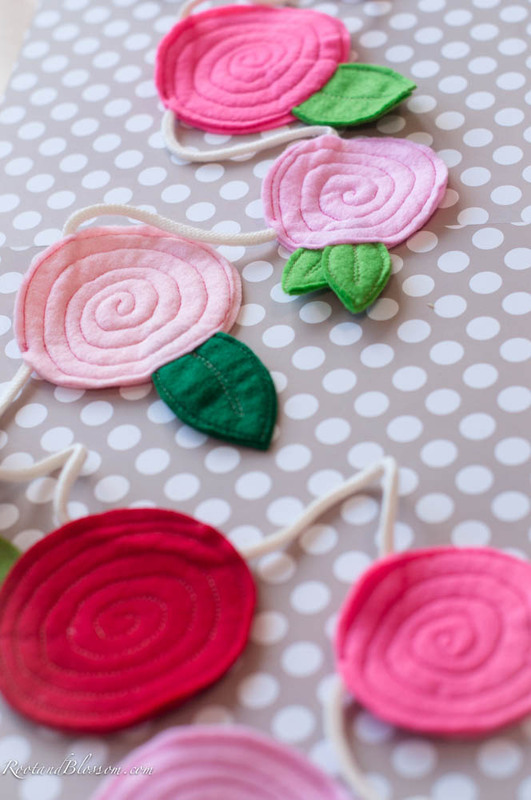 For each flower you'll need two circles, for large leafs you'll need two felt pieces per flower and for the small flowers you will need four small leaf cut outs each (pieces will be sandwiched together). I made five large flowers and five small flowers so my cutouts were as followed: 10 large circles, 10 small circles, 10 large leafs, and 20 small leafs. 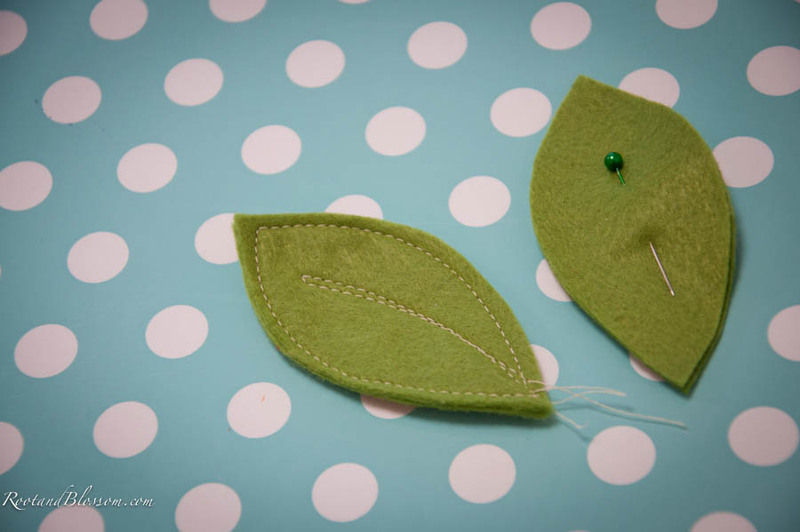 I began by pinning and sewing my leaves together as seen below. 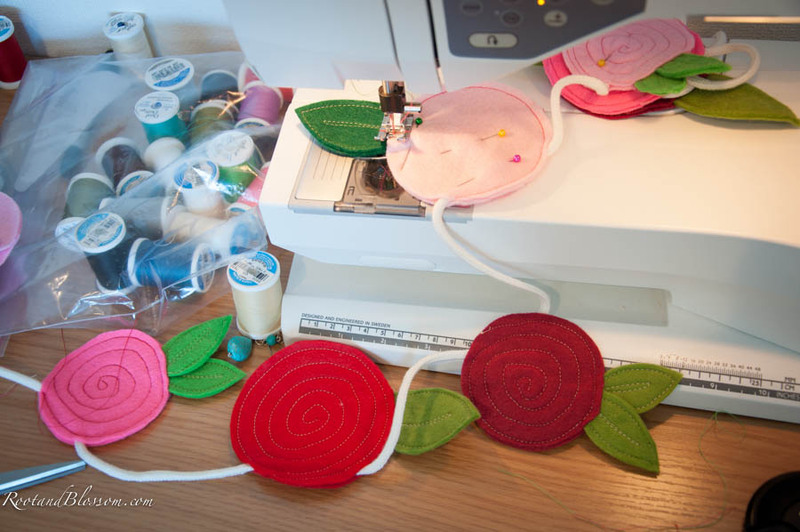 Once leaves were sewn I sandwiched them between the flower circles and pinned the flowers to the rope in my desired spacing. Notice each flower has three pins: One pin holding the leaves inside the flower, a pin holding the flower circles together, and a third pin keeping the rope sandwiched between the flower pieces. 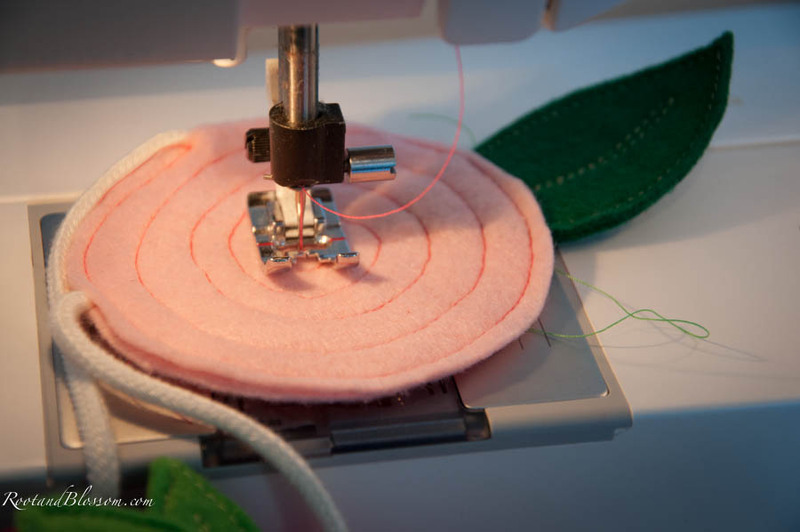 The last step is to sew in a spiral around the flower starting on the edge and working your way in. No need to worry about the spiral being perfect, just use the already created stitched line as a guild as you go around. 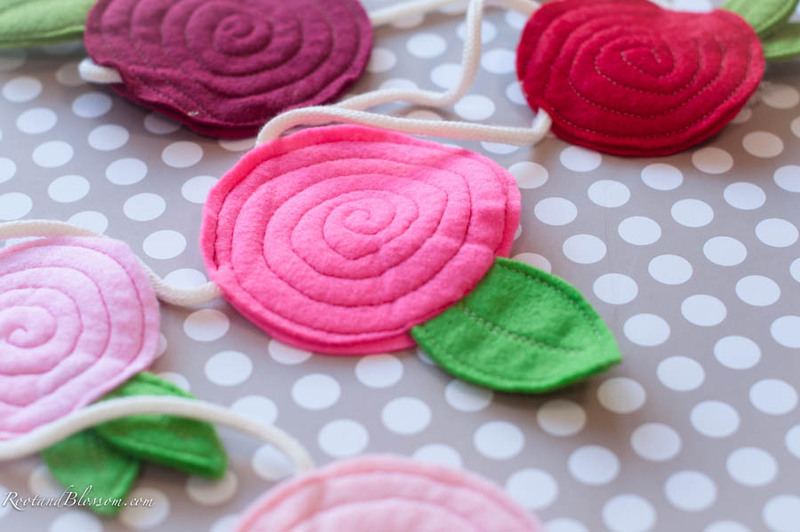 Be careful not to stitch the rope onto the back of the flower as you rotate while you stitch. 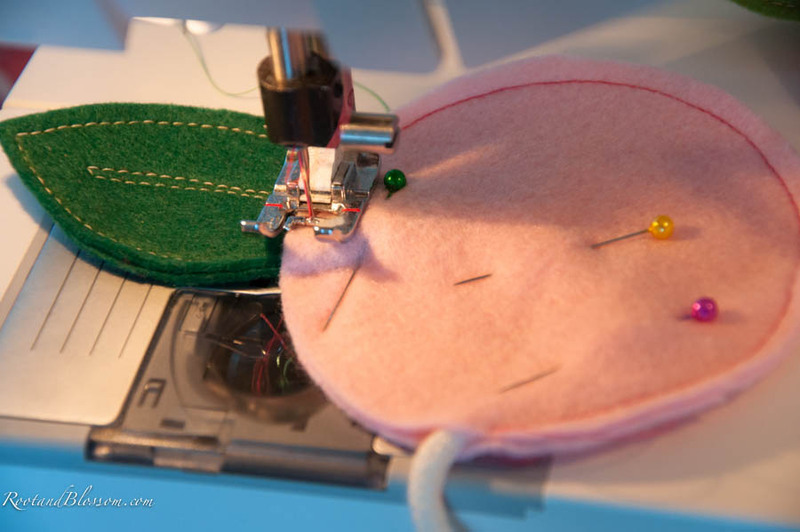 Once you get to the center make sure to fix the stitch and cut the string. And there you have it! 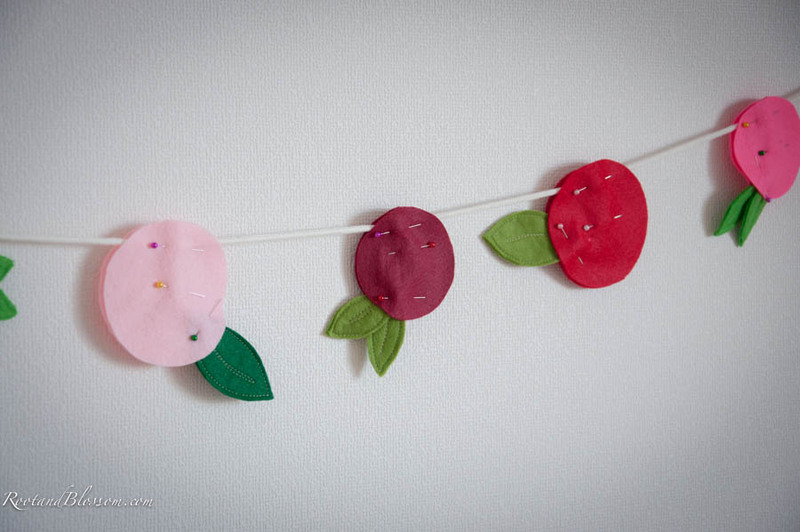 Sweet and simple felt garland for Valentines Day! Umm those are amazing!! I am so in love I might need to go get some felt tomorrow! These would be cute for baby girl too after v-day!! 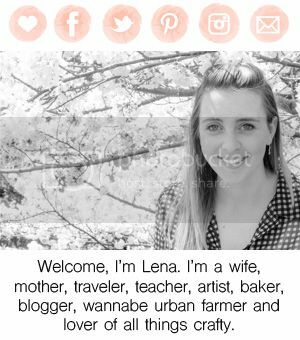 You are awesome thanks for sharing!! I love how much you love this! Thanks again for sharing it. I was thinking of that too- if this baby is a girl this could be cute for more than just Valentines day! Though then I would maybe want different colors.